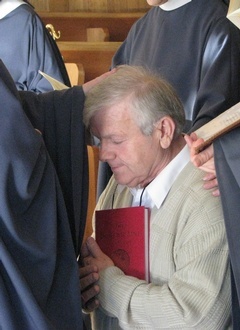 Those who are called to embrace the Benedictine Way as an oblate are drawn to a particular community and are affiliated with a particular monastery. They do not live with the community but rather commit themselves to serving Christ and living the monastic values in their own families, workplaces and circumstances in the world. After a period of discernment and formation (usually 12 months), they offer their lives to God in a formal ceremony of commitment which is witnessed by the community and their family and friends. Oblates can be male or female, single or married, baptised Christians of any denomination. 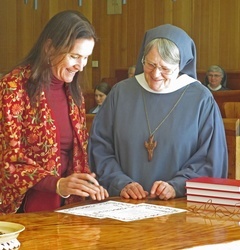 Currently, there are over 400 Jamberoo Abbey Oblates spread across five countries.